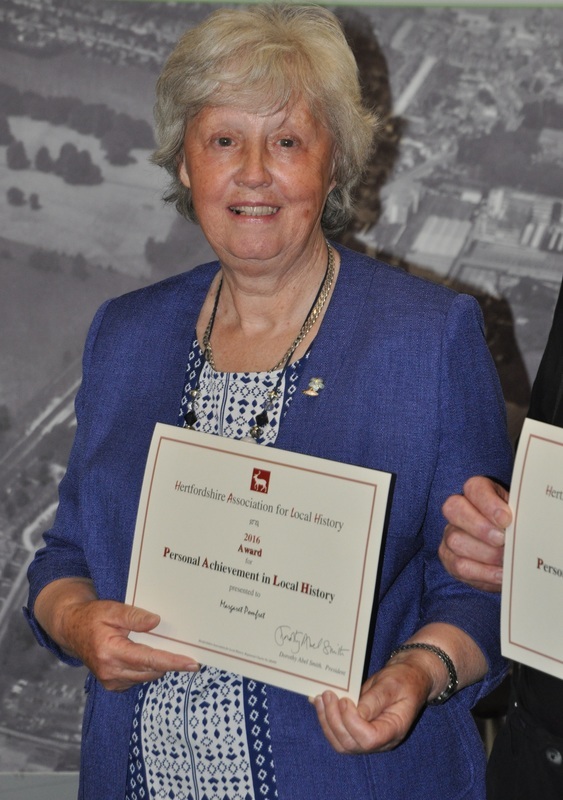 Margaret Pomfret local historian will be presented with a county award in recognition of her contribution to local history. 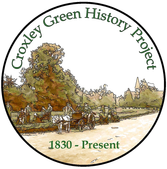 The Hertfordshire Association for Local History (HALH) will present Margaret Pomfret of Croxley Green with her award at the 2016 Spring Meeting at Frogmore Paper Mill, Fourdrinier Way, Hemel Hempstead HP3 9RY on Saturday, 14 May. Margaret has worked tirelessly for the benefit of Croxley Green residents, adults and children, for over 25 years. As a parish councillor, Margaret Pomfret involved herself in community activities one of which was the replanting, with the help of children from the local schools, of a local orchard which before her efforts, was in danger of disappearing. To put this work into context she then produced a booklet on Stones Orchard and local history. With her passion for local history, she then produced a map of Croxley Green that showed the historical places and sites of the village. As the unofficial curator of local history, Margaret has amassed a "bedroom full" of local data and photographs mainly donated by local families who realised there was a need to keep local history in one place. As she had the material in her house it was easy for her to do more research. 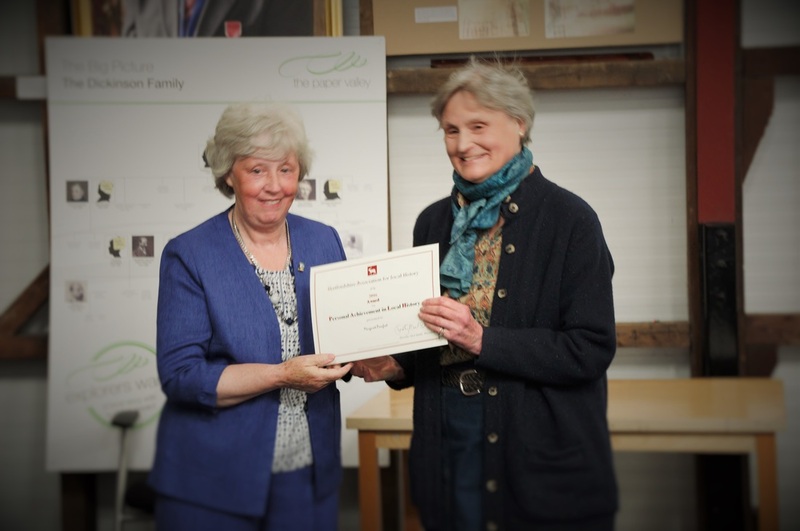 Margaret has helped create the "Paper Trail" at Apsley Mill and has been involved in researching the history of Dickinsons Mill and it's instigator, John Dickinson, who was responsible for the growth of Croxley Green in the early 20th century. During the past three years Margaret has spent a lot of time putting her archives online. 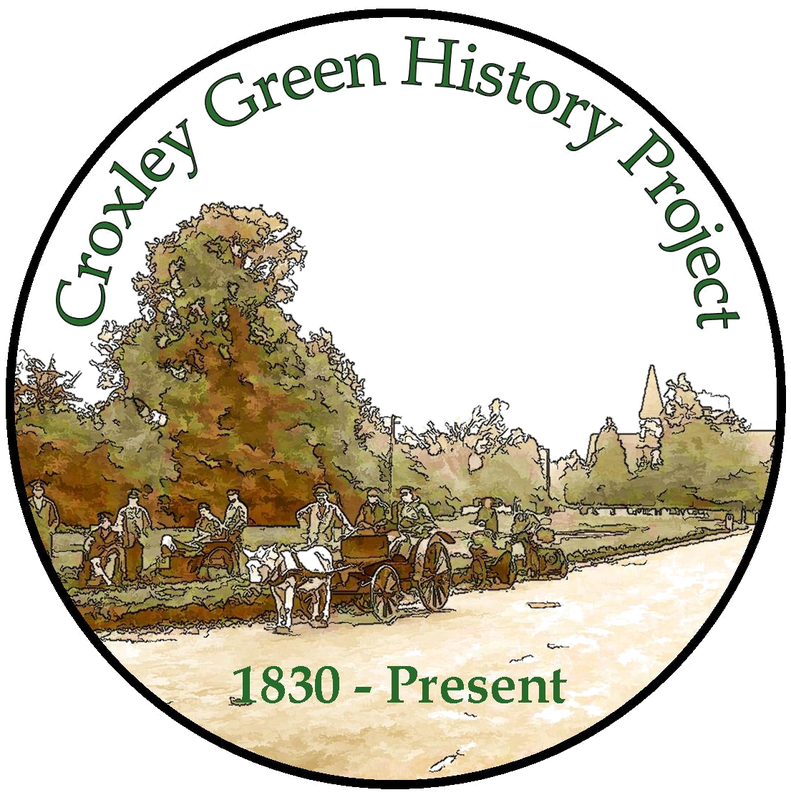 A milestone was passed when in December 2015 the Croxley Green local history website was launched. The website will have over 150 pages of in-depth information, most of which has been prepared by Margaret. Margaret has also been involved in helping people research their families. When given queries she usually answers them without having to revert to the documents. Margaret has a real passion for where she lives and is willing to give up time to make sure that local life is pleasant and meaningful for all. The HALH Awards, which are presented each year, are made as a means of publicly honouring those who have made an outstanding and significant contribution to local history. This contribution might include teaching, writing articles and books and supporting a local history society or museum but, most importantly, enthusing others to appreciate the history of their locality. 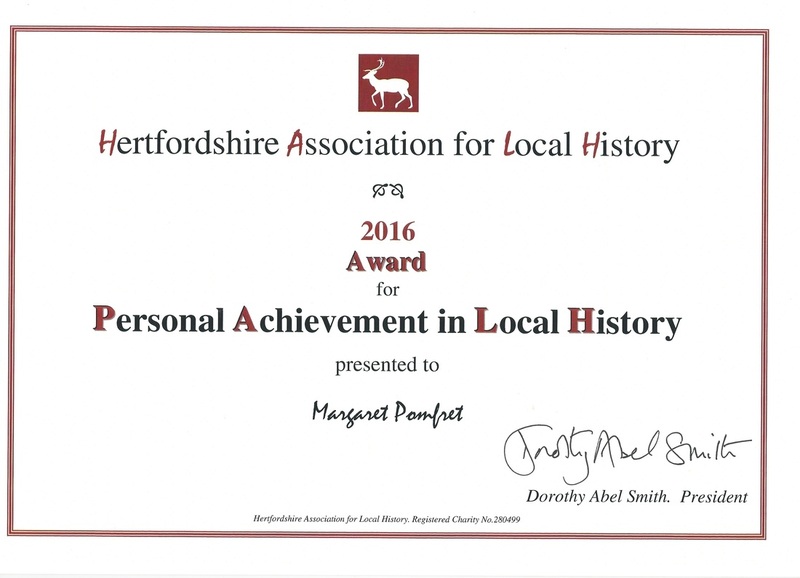 “Interest in local history has grown significantly recently as can be seen by the rising number of TV and radio programmes devoted to the subject.” said David Short, Awards Secretary of the Hertfordshire Association for Local History. “The purpose of the Association is to encourage and assist the study of local history throughout the county as an academic discipline and as a rewarding leisure pursuit for both individuals and groups”.